WE OFFER FREE STANDARD DELIVERY by the conditions mentioned in the section below: HOW MUCH DOES DELIVERY COST. Orders take up to 3-4 days to be delivered between Monday to Saturday within Croatia. It may take up to 8 days for delivery within EU. We offer free express delivery within Croatia for orders above 150 €. We offer free standard delivery to EU countries for orders above 250 €. Go to your account at https://www.marija-m.com/en/order/history and select your order details. HOW DO I RETURN A PRODUCT PURCHASED IN THE MARIA ONLINE SHOP? We offer free returns. You have the right to cancel your purchase and return any purchased products. We accept online returns within fourteen (14) days from the day on which you (or a person indicated by you) receive the products. Please return your products in their original condition, without them being worn or washed. To return your product please reuse the packaging your order was shipped in. Log in to your account or if you do not have an account use the link in your shipment confirmation email and follow the easy steps. Please note we only accept one return per order. Print your free return label from the website and stick it onto your return parcel. If you do not have a printer at home, our customer service team can send a return label by post. You can contact us by email: info@marija-m.com. Please make sure that your return package is packed and sealed securely. Drop your parcel back to the nearest royal mail post office and make sure you keep the proof of your return until you receive your return confirmation email. Normally parcels are returned to us by shipping service within 10 working days but on some occasions returned parcels are delayed especially at busy periods like christmas or during sale periods. Please allow up to 15 working days before contacting us about your return. We thank you for your understanding. All returned products not complying with our return policy will be returned to you without refund. IS IT POSSIBLE TO RETURN A PRODUCT THAT HAS NOT BEEN ORDERED FROM THE MARIA ONLINE SHOP? 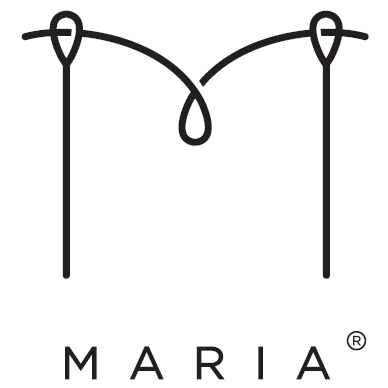 We only accept products that have been purchased from the Maria online shop. Any product returned in error will be destroyed within 10 days unless you contact us to get it back. We will return the product and Maria web store cannot be held responsible in case the parcel gets lost on the way back to you as Maria web store didn’t have any obligation to proceed as it is not one of its product. You have the right to cancel your purchase by returning any purchased products. This right lasts until fourteen (14) days from the day on which you (or a person indicated by you) acquires physical possession of the products. All returns are free of charge within EU countries. - delivery charges are not reimbursed unless the product was faulty. If a product purchased from the Maria online shop does not meet Maria fashion quality standards, you have the right to make a claim during the period of the legal guarantee. We kindly ask you to provide us with clear pictures of the product, full length of the product and detailed close up of the issue. It is not possible to exchange a product. We invite you to return the product and place a new order. WHERE WILL ORDER BE DISPATCHED FROM? The Maria online shop warehouse is based in Croatia.